A: There is no minimum order on any of our stock clothing items. Minimum order on baseball caps and toques is only 12. Promotional items such as pens, key chains, stickers and fridge magnets do have minimum orders that vary by product and supplier. See online catalogues for details, minimums and prices, or call our office, visit our showroom for details. Most of our supplier catalogues list prices and minimums. Q: What is digitizing (set up) for embroidery and how much does it cost? A: Digitizing is a process where we take your logo and create a stitching pattern for the embroidery machines to follow. Embroidery machines can not follow a picture because there is no sewing instructions. Digitizing creates a pattern with sewing instructions. Most regular designs only take 3 – 4 hours to create. More complex designs with many colours can take 4 hours or more. Price depends on how complex the design is and how large it is. Average left chest designs are charged a flat rate of $89.00. Larger more complex design cost an average of $100.00 – $350.00 This is a one-time fee and you won’t have to pay it again as long as you don’t change your design. Note that if you need a back and a left chest design they will be different as the stitching instructions for a small design will be different for a larger design. Q: What is acceptable for artwork? A: Embroidery accepted formats we use to create an embroidery pattern from – High quality .jpg minimum 200 – 300 DPI, Corel Draw 11 or lower Vector file with lettering converted to curves. Unacceptable Art Formats for Print – JPG, Giff or any file from the internet, Microsoft Word or Powerpoint files, Microsoft Excel, Adobe PDF, BMP or PCX, RGB colours, Photo copies, business cards, or hand drawings. 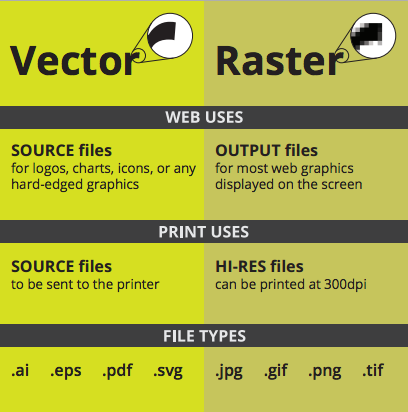 Click here to learn what a proper VECTOR file means https://en.wikipedia.org/wiki/Vector_graphics Extra charges will apply if you cannot supply acceptable artwork. 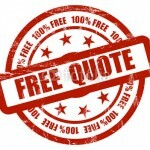 Q: Can you give me an estimate or quote? A: PLEASE NOTE that most of our online e-catalogues list your basic prices with decoration. 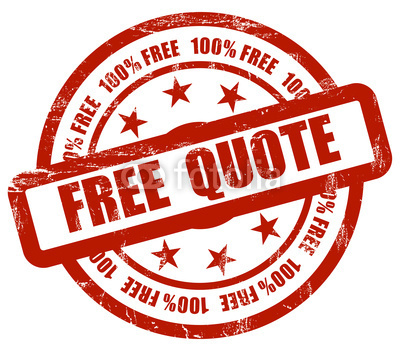 We are always happy to give written quotes including all your set up and taxes. To do a quote we may need to ask you several questions and have a picture of the design you plan to use so we can be accurate. We will also need to know what products you want a quote on style numbers and how many of each you will need. While most items have no minimum order, there are discounts on larger quantities so the more you order the less it will cost. Q: How long does it take – Turn-around Time? A: Standard turn around about 2 – 3 weeks to get your order done after it has been confirmed and approved and paid for. NOTE: Busy season is SPRING to Mid-SUMMER and just before Christmas. During busy season orders can take up to 3-4 weeks or more. Keep this in mind when planning to get product for an event date. 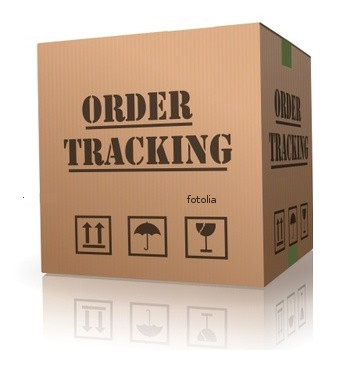 Customers may now track the progress of their order on our website by following this link www.tmspromotions.ca/orders then enter the password on your order form. Q: Why does it take so long to put an order through if you do all the work in-house? A: Keep in mind that all work we do is custom ordered and made just for you. When you place an order at anytime there are always several orders that were here ahead of you. Embroidery and Screen Printing are time consuming. There is a lot that goes on behind the scenes that customers don’t see such as: Ordering product, receiving product and checking it in then sorting it into the orders it belongs to, creating and approving designs. Embroidery and screen print production both require extensive time consuming set up of designs and run time on machinery. Some orders take one day to run on machines and larger ones can take several days. The time it takes to put your order through is relative to the amount of work ahead of you at the time you place your order. To be fair we put all orders on a schedule in a cue and run them in the order we receive them. In comparison our shop turnaround is average 2 -3 weeks. Other suppliers who send their embroidery out or shops in Toronto can often be 6 – 8 weeks. 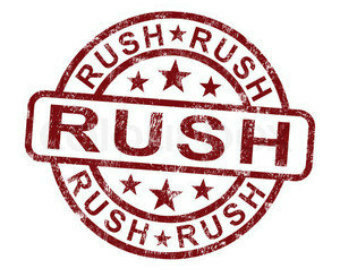 Q: Do you do rush orders? A: Yes. Please add 50% to any orders needed before the current standard turnaround time. Double the price for orders needed within 1 week. 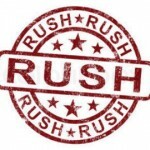 RUSH service is subject to approval and stock availability. Q: Can we supply our own product for you to embroider or silkscreen? A: In most cases, yes. We welcome customers to buy their own garments if they wish. We have a standard flat rate charge for customer supplied garments. Occasionally the quality of product supplied may not meet the minimum standards for applying embroidery or silkscreening and we may not be able to guarantee the final outcome, in which case we will advise against doing the work. Often we can supply a similar garment for less than what you would pay if you supplied your own, so be sure to consult us before you make your purchase. We resurve the right to refuse replacement on customer suppled garments if they become damaged in the process. Q: Can you do embroidery on T-Shirts? A: YES. Most companies do screen print only on t-shirts so many customers assume that t-shirts can’t be embroidered. Some companies also lack the skill and equipment to do quality embroidery on t-shirt material. We can and have been doing it since we started. Small designs are most successful such as left chest, tag hits, or logos and lettering on sleeves. We do recommend that full back and full front designs be done in print. Large embroidery done on T-shirts is not cost effective and feels too bulky to wear. Q: Can you reproduce this T-Shirt/Sweatshirt that I found from another company on the internet? A: In most cases we can but there are so many variables. Simple direct transfer print or embroidery can be easy to do right here in house. Most of the designs you see advertised on Facebook for example are mass produced in china to keep cost low. When you try to reproduce only one piece the set up and design fees can prove impractical. Many of these designs are also copyrighted and trademarked so we can’t reproduce them without the consent of the owner of that design. In many instances we tell people to just go purchase the one you saw. A: All custom orders must be paid in full in advance to starting your order. We accept company cheques, personal cheques, Visa and MasterCard. We also accept interact direct payment here in our showroom. 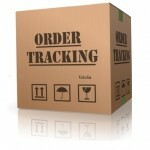 > ORDER TRACKING available. Track the progress of your order. www.tmspromotions.ca/orders and enter your password. 10:00am - 5:00pm Monday - Friday. After Hours appointments are always welcome.